Photographs above by Tony Kerrigan. Click on them for larger images. 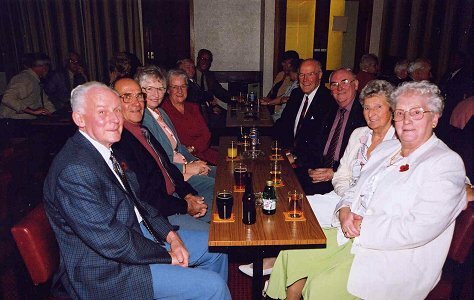 CARRICK Sports Club threw a `thank-you' party for Billy McDowall - one of its longest-serving committee members. 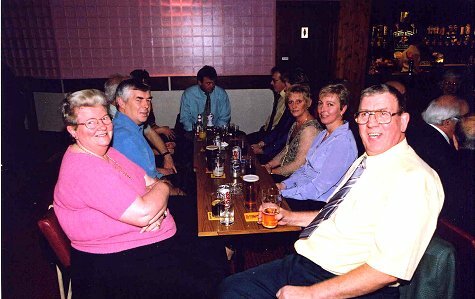 Billy has retired as treasurer, and as a committee man with more than 25 years service. 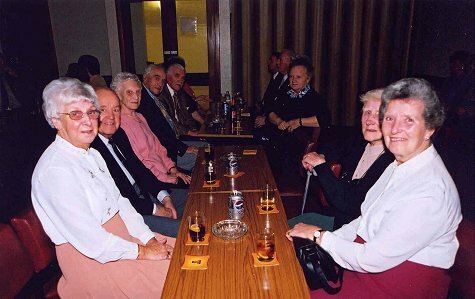 Around 140 members of the Maybole club turned out to hear secretary Billy McCubbin pay tribute to Billy - and Maybole Pipe Band popped in to add to the party atmosphere. 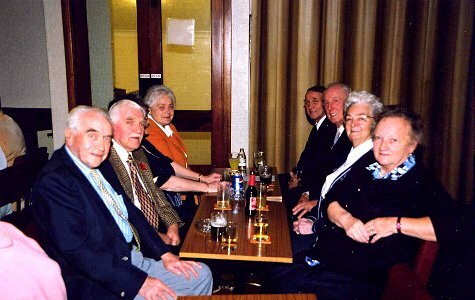 Mr McCubbin said: "Billy was a founder member, a labourer, a sweeper-upper, a doorman, an MC and even an entertainer. Who can forget his `Tiny Bubbles'!" Mr McCubbin told the company: "There was no job he wouldn't turn his hand to. If there was work to be done, he was always there." Billy McDowall served the club as treasurer for the past eight years, a role which included administering income from an adjacent house, purchased by the club. 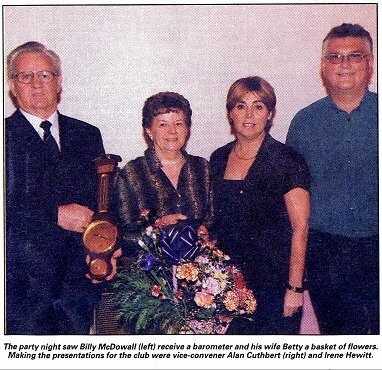 Mr McCubbin also praised Betty McDowall for giving her husband stalwart support over the years. 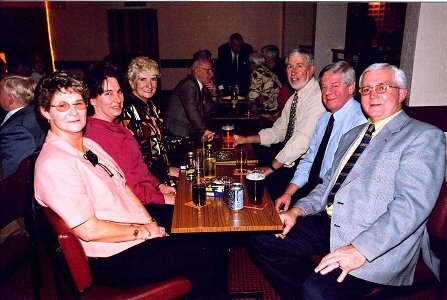 And he said the occasion was ideal for the club to thank all who had contributed to its growth. 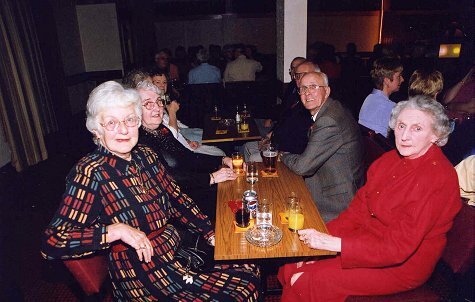 He told the party: "Some of you gave interest-free loans in 1974. 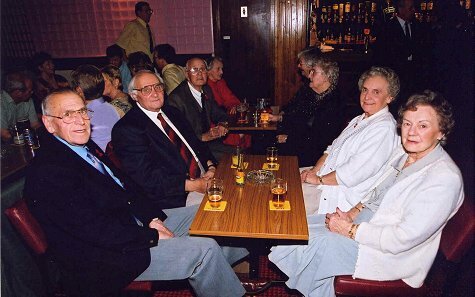 Some of you are founder members from 1975. "There are people here who worked their socks off to make sure that all three phases of the building were ready on time." From the Ayrshire Post. November 16 2001. 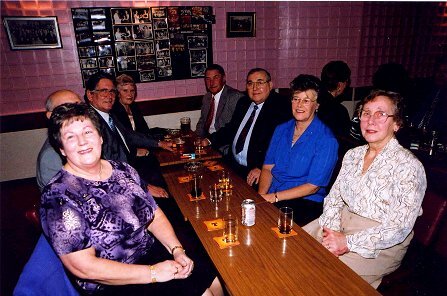 Some of the Carrick Sports Club members who turned out to pay tribute to Billy McDowall ..